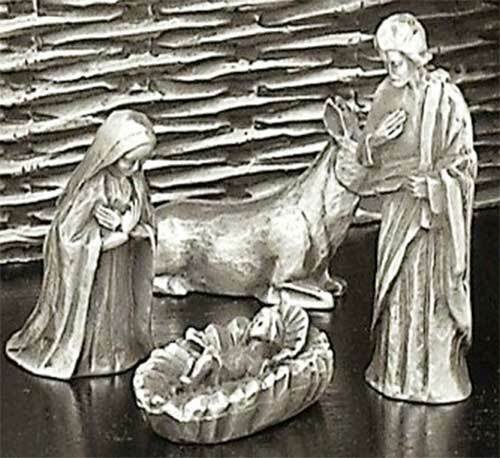 Pewter Nativity set from Mullingar exhibits exceptional detail. This representation of the birth of Christ includes 10 Mullingar Pewter pieces and a wooden base. 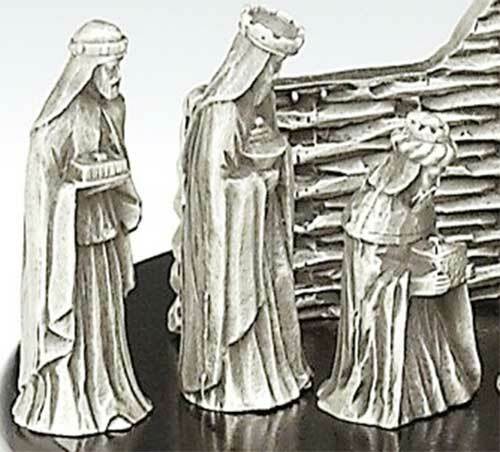 These refined pewter miniatures include the Holy Family and the Three Wise Men. 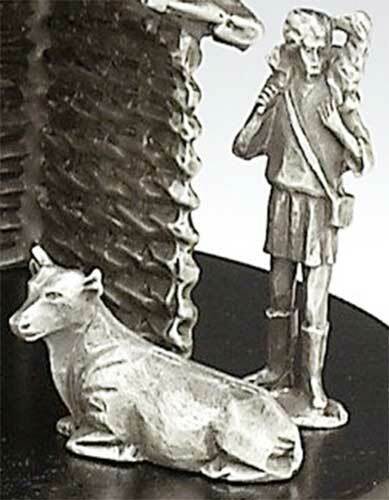 This set from Mullingar Pewter is just one of several Irish Nativity sets offered by The Irish Gift House. We also stock an enormous line of Irish Christmas ornaments within our Irish Christmas Decorations section. 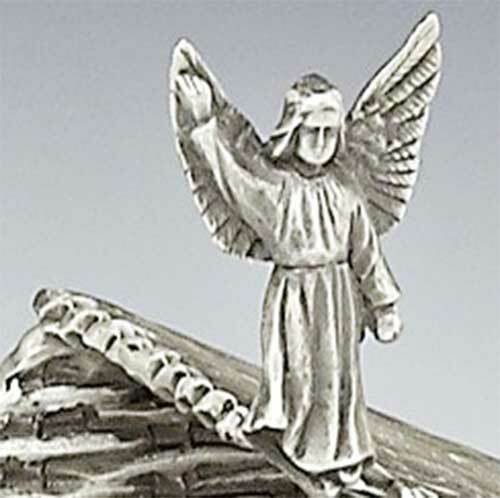 You will also find an Irish Santa page and a collection of Irish Angle Tree Toppers.